I'm a newly formed LLC and still learning? Do I file a 1065 or Schedule C? There is a lot of information to learn and I'm seeing that LLCs file Form 1065 but I was thinking I'd file my business on my personal return using Schedule C. I'm completely lost at this point, on what to do next. Any insight, as I'd hate to have to have a professional do my taxes. I prefer to learn it on my own. If you are a single member LLC, then you cannot file a Form 1065. Generally, unless electing to file as a corporation (either C or going through the hoops and electing S), single member LLC default to Sch C.
Here is a link to IRS.gov. That will provide you with some more links and information. If you're a single person LLC, then a Schedule C using our TurboTax Self-Employed product is right for you! This product can handle both your personal and business taxes - we'll guide you through with recommendations as well! Congrats on your new endeavor. Generally, one should do a bit of research before embarking on the self-employment train. You're discovering there's a lot to learn, and hopefully you don't learn to many lessons the hard (albeit *expensive*) way. So here's some definitions and guidance to help you become more "in the know" on the subject. Sole Proprietorship – This is a business with one owner, and only own owner. There are no other investors or share holders. This type of business is considered a “disregarded entity” by the IRS. All income and expenses for the business are reported on SCH C as a physical part of the owner’s personal tax return. Again, a sole proprietorship has only own owner. Depending on what state the business is in, registration is not required at the state level. But it may be required at the county, town, or other level of government below the state. For example, your county may require you to register and obtain a county issued Occupational License, which authorizes you to conduct business only within the jurisdiction of the authority that issued the Occupational License. This is most often required when the county, city or other authority below the state, taxes personal income or imposes a tangible property tax on business assets utilized to produce business income. Single Member LLC - This is a business with one owner, and only own owner. There are no other investors or share holders. This type of business is considered a “disregarded entity” by the IRS. All income and expenses for the business are reported on SCH C as a physical part of the owner’s personal tax return. Again, a single member LLC has only own owner. This type of business is required to be registered at the state level, weather that state taxes personal income or not. Additionally, this type of business may also be required to obtain an Occupational License for the county(s), city(s) or other more localized jurisdictions within that state, in which the business will be operating in. Multi-Member LLC – This is a business with more than one owner. It’s also the exact same as a Partnership (for tax purposes) This type of business also has to register at the state level, and may also be required to obtain an Occupational License from more localized jurisdictions within the state, in which that business will operate. This type of business will file its own physically separate tax return with the IRS (and state if applicable) referred to as a Partnership Return, on IRS Form 1065. When completing the 1065 (using TurboTax) the business will issue each individual owner a K-1 reporting the income (or loss) of each owner. Each owner will use this K-1 to complete their personal return. So an owner can’t even start their personal return, until after the 1065 Partnership Return has been complete, filed, and all K-1’s issued to all owners. LLC “Like an S-Corp” – For tax purposes only (and I reiterate: FOR TAX PURPOSES ONLY!!!!!) one can elect to have the IRS treat their single member LLC or multi-member LLC “like an S-Corp” ****FOR TAX PURPOSES ONLY!!!!! **** This means your business is treated like and considered to be a physically separate taxable entity. This is accomplished by filing IRS Form 8332 – Entity Classification Election. This allows you to act as if your single member LLC or multi-member LLC is an S-Corp. But understand that if you want the IRS to treat your LLC like an S-Corp, then the business “must” act like an S-Corp, and follow all the laws, rules and regulations required of an S-Corp by whichever state your LLC is registered in. All business income and expenses is reported on IRS Form 1120-S – Income Tax Return For An S-Corporation. The S-Corp will then issue each owner, investor and/or shareholder a K-1 which they will need before they can even start their personal tax return. Unlike a single member LLC which is considered a disregarded entity for tax purposes, an LLC that has filed form 8332 – Entity Classification Election “is” considered and treated like a separately taxable entity. S-Corp – This type of business is registered at the state level and must conform to the laws, rules, regulations and ordinances of that state which apply to an S-Corp. All business income and expenses is reported on IRS Form 1120-S – Income Tax Return For An S-Corp. The S-Corp will then issue each owner, investor and/or shareholder a K-1 which they will need before they can even start their personal tax return. Unlike an LLC which is considered a disregarded entity for tax purposes, an S-Corp “is” a separately taxable entity, and therefore files its own physically separate tax return and issues K-1’s to all owners, officers, investors and shareholders. C-Corp - This type of business is registered at the state level and must conform to the laws, rules, regulations and ordinances of that state which apply to a C-Corp. All business income and expenses is reported on IRS Form 1120 – Income Tax Return For A C-Corp. The C-Corp will then issue each owner, investor and/or shareholder a K-1 which they will need before they can even start their personal tax return. A C-Corp “is” a separately taxable entity, and therefore files its own physically separate tax return and issues K-1’s to all owners, officers, investors and shareholders. Occasionally a rental property owner will be “convinced” they need to put their rental property into an LLC (be it single owner or multi-owner LLC) as a means of protecting themselves and their personal assets from legal litigation should they ever be sued by a tenant. The property owner is told the LLC gives them and their personal assets a “veil of protection” from any legal litigation that may arise as the result of legal actions perpetrated by a rental tenant. Nothing could be farther from the truth. If you check court records (even in your local area) you’ll probably find numerous cases where a tenant sued their landlord and the LLC provided practically no protection of the property owner’s assets. That “veil of protection” supposedly offered by an LLC is so thin, even a new first time lawyer has no problem piercing that veil and attacking the personal assets of the property owner on behalf of the tenant. There are other problems and issues with this too. In order to legally transfer ownership of rental property to an LLC, the owner must have the permission of the mortgage holder. No lender in their right mind will give this permission either. Even if you think you can refinance the property or “sell” it to your LLC, unless your LLC has the cash on hand to pay for it in full, your LLC will never qualify for the mortgage loan. The lender doesn’t want to risk your LLC going under (by filing bankruptcy for example), and they lose money because of it. So I’m confident in telling you, that’s not going to happen. Earned income is income which you have to do out and “do something” in order to earn it. This income is subject to regular income tax, and also an additional 12.6% self-employment tax. The SE tax is basically the employer side of your social security and Medicare. But rental income is not “earned” income, and therefore is not reported on SCH C. So if you create an LLC for your rental property, then absolutely nothing concerning that rental property will be reported on SCH C. Not one penny of rental income and not one penny of rental expenses. Rental income is “passive”. That’s because all you do with rental property on a recurring basis is just “sit there” and collect the rent every month. You are not “doing anything” to “earn” it on a recurring basis. That’s why rental income is reported on SCH E. Rental income is subject to regular tax, but is NOT subject to the additional self-employment tax. This means that rental income DOES NOT COUNT for your social security account or Medicare contributions. One mistake I see quite often is that when an owner converts their primary residence or 2nd home to rental property, and they fail to update their insurance policy. This can bite when you have a claim. If the property is ibured as your primary residence, but you are using it as rental property (which is other than it’s insured use) don’t be surprised when the insurance company denies your claim, and you can’t find any lawyers that will take your case. If it’s a case of you being sued by a tenant, then to be honest and put it bluntly, you’re screwed. I appreciate your technical analysis. However, in the begining of your commentary you say if your a single member or sole proprietor then you file a Schedule C. Then near the end of your commentary you say you absolutley don't use schedule C because it is for "Earned" income and Rentals are "Passive" income therefore use Schedule E. Could you clarify please. Also I have a question for you. I have a Revocable Trust (FBO) - for the benefit of. Do I have to fill out K-1's and 1040's or some such forms or can I just put it on Schedule E like I have been doing. Any Guidance on the latter with be greatly appreciated. First, you have an LLC and it's never clarified if it's a single owner LLC, multi-member LLC, or an LLC that has filed form 8332 and elected to be "treated like an S-Corp" for tax purposes. But since you did ask about filing a 1065 I assumed it was a multi-member LLC. Apparently I'm wrong. Now it's a revocable trust. It flat out does not matter what tax reporting form you are filing. 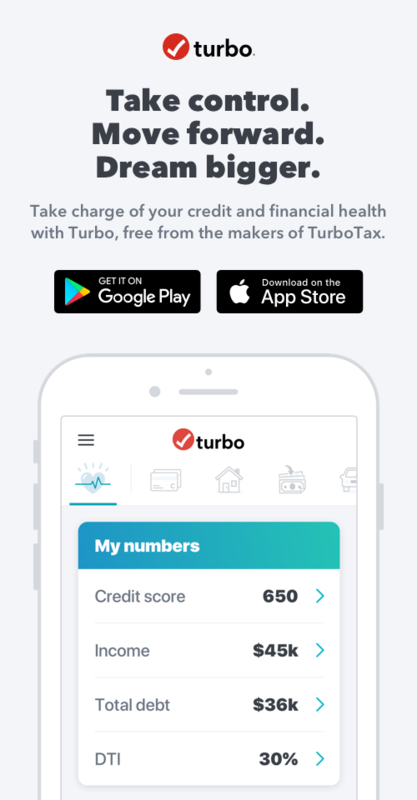 The rental income/expenses is passive income and gets reported on SCH E. If property entered into the program, then it doesn't matter what version of TurboTax you're using, be it the business version or any flavor of the personal versions. 1065 - Multi-member LLC/Partnership Return. It doesn't matter. the rental property is reported on SCH E with whatever tax return you are filing. So if you've been reporting the property on the 1041 return for your trust, then it's still on SCH E as a physical part of the estate return. If you'll look at the K-1 you'll see the rental stuff reported in boxes 7 and/or 8 While I know box 7 is for rental real estate income, I think box 8 is for other types of rental income - such as if you had a rental equipment business that rented out equipment for short terms. For a single member LLC which is treated as a sole proprietorship, or an individual, generally the activity is reported on Sch C. However, rental property is treated differently. If no substantial services are provided, the activity is reported on Sch E. Unless you are considered a real estate professional, the activity is also considered passive and subject to the rules of passive activities. However, if substantial activities are provided along with the rental property, such as meals, daily house keeping, etc., this would be akin to a hotel/motel/B&B, then it would be considered earned income and reported on Sch C.
A single member LLC, unless it elects to be treated differently, defaults to Form 1040, Sch C, unless rental property, then Sch E.